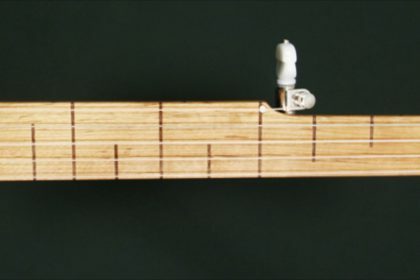 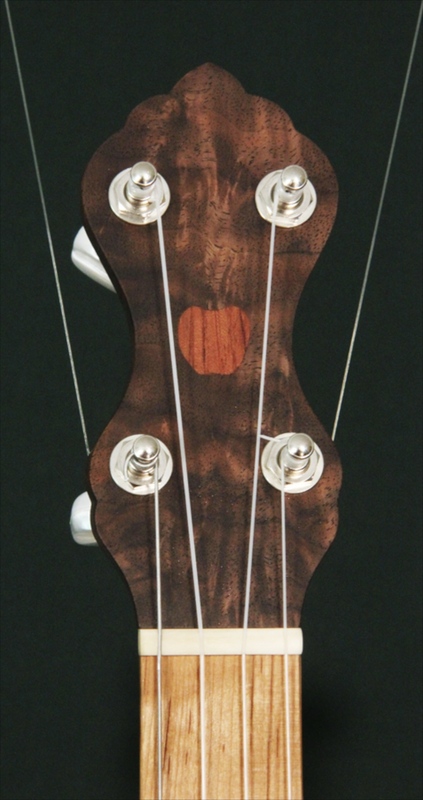 A walnut and Cherry flushfret banjo. 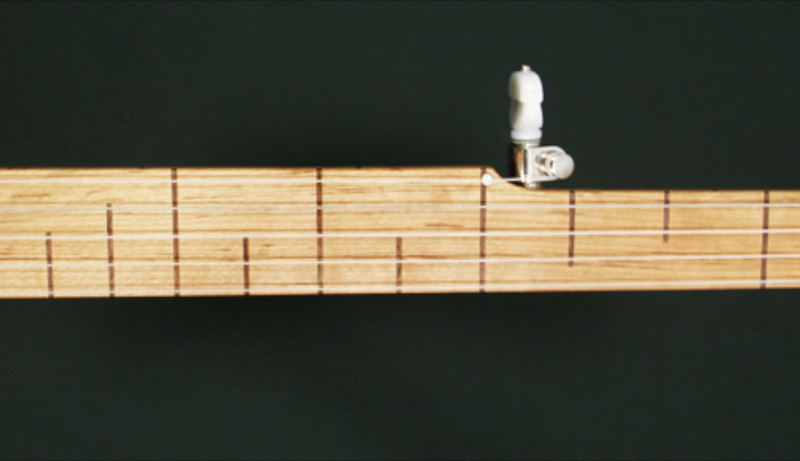 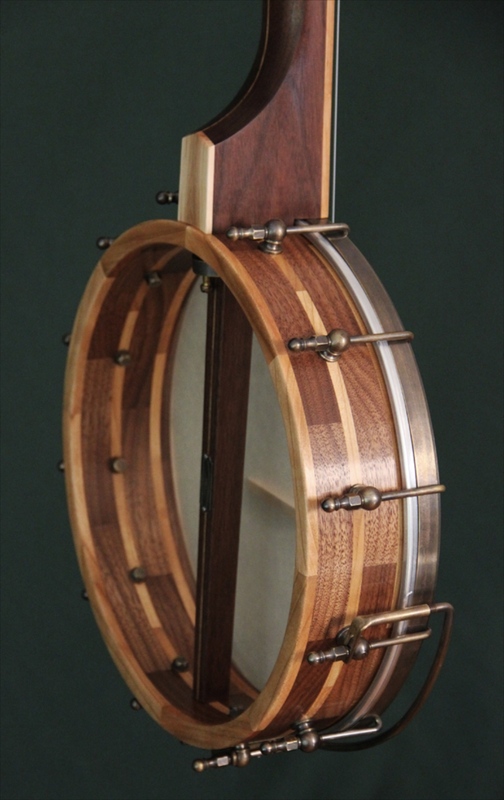 This banjo has an ironwood fretboard with ruler style fret markers in walnut. 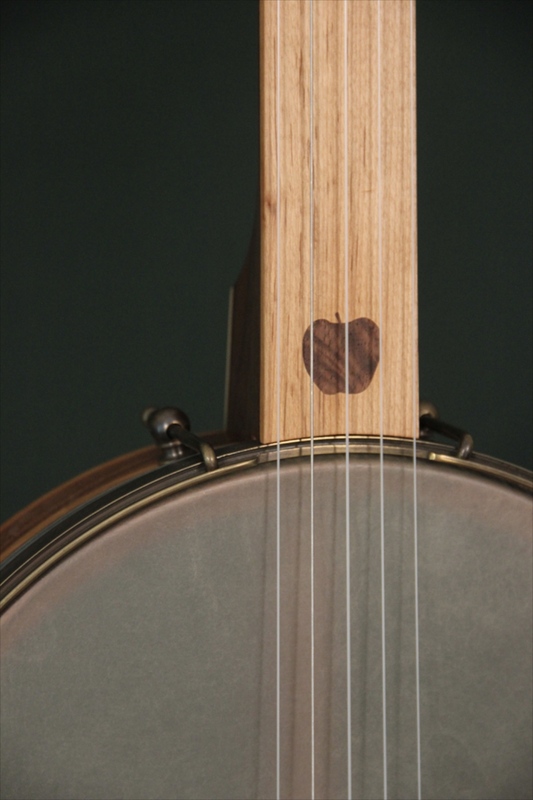 The banjo has inlayed apples, one in Bubinga on the peghead and one in Walnut on the fretboard.